Whenever I teach workshops or talk to parent groups, I will hear “I just have a quick question-why isn’t my child sleeping through the night?”. Although the question may be quick, the answer isn’t. It’s difficult to give a short summary in a sentence or two. There are a plethora of reasons for night wakings, and in order to be able to offer advice, I need to know specifics about that child; age, personality, sleep temperament, napping routine, bedtime, plus more. “Sleeping through the night” means something different to every parent. And it can look different at various ages. We have different expectations for a four month old versus a four year old. The first one will likely still need to wake up to feed during the night, whereas the latter won’t. If the four month old wakes up to eat twice a night but goes right back to sleep and overall sleeps 11-12 hours each night, I would consider that sleeping through the night. If the four year old did the same thing, I would not. Keep in mind that children and adults alike, do not technically sleep straight through the night, without waking. We all wake up throughout our sleep cycles, however most of the time it is not a full, conscious, “gee, I’m awake and it’s 3am” type of waking. We shift our position, get comfortable and go back to sleep. This will occur in children as well. This a normal and healthy sleep pattern. The trouble happens when a baby or child fully wakes up and signals, cries or calls for a parent multiple times a night. But putting those details aside, and assuming a child is healthy, and I can summarize the two main mistakes that parents inadvertently make that can cause and encourage night wakings. First, I want to preface the information with the caveat that you should always check with your child’s doctor if you believe there may be a medical reason for the sleep issues. This can include (but is not limited to) severe reflux, poor weight gain due to breastfeeding difficulties, insufficient transfer of milk, tongue or lip ties, snoring, mouth breathing, food or environmental allergies, restless leg syndrome or obstructed sleep apnea. What is a Sleep Debt? Sleep debt is the cumulative effect of not getting enough sleep, and leaves your baby, toddler or preschooler feeling mentally worn-out, physically exhausted, and can dramatically impact their mood, thought, and behaviours. In most cases sleep debt occurs when a child habitually does not get the required amount of sleep each day and night, leading to chronic sleep deprivation. or bedtimes that are too late. A sleep debt can be thought of like a financial debt; the more money you take out, the greater the debt becomes. If you don’t replenish the money, the debt remains. Similarly, the longer the child goes without the proper amount of rest, the more overtired they are and the bigger the sleep debt becomes. In both examples, if the debt is large, making a small one-time deposit doesn’t clear up the debt. 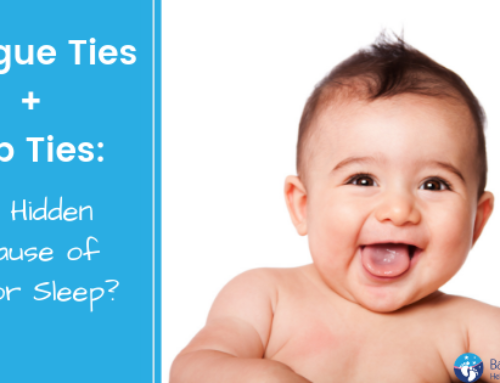 How Do I Know if My Child Has Sleep Debt? When children are overtired, they can get revved up as their body releases more stimulating hormones such as cortisol and adrenaline in an effort to counter the exhaustion. It is common for parents to tell me that their toddler will have a ton of energy in the evening, or as they try to rock their baby to sleep, the child is crying in their arms, pushing away and arching their bodies. The harder the parent works, the harder the child resists the attempts to soothe her. taking extended periods to go to sleep. Luckily, these issues can be resolved by adjusting the child’s routine so that they are getting more sleep. One of the easiest ways to do this is by moving bedtime earlier in the evening. For children under the age of 5, regular bedtimes earlier than 7:30PM work best. If you suspect your child has a sleep debt, then moving bedtime up by 20 – 30 minutes may help them feel more rested. Some children even need a bedtime closer to 45 minutes to an hour earlier. If you’re not sure, this wake time infographic below can help you determine the right bedtime for your child. Can you guess what the number one follow up question is, when I suggest an earlier bedtime? Parents wonder if it means their child will now wake up earlier in the morning. To that I say a resounding “no”. The reason is that when a child is overtired, doing an earlier bedtime allows their brain to acquire more cycles of sleep, which is like putting money into their sleep bank and reducing the sleep debt. During a child’s sleep, their brain cycles through REM and Non-REM (NREM) types of sleep. REM sleep is light, active, helps to consolidate memories and results in dreaming. NREM is a deep sleep that helps the body to repair itself, release growth hormones and helps to clear the sleep debt. The structure of night time sleep is such that there are more cycles of the deep NREM sleep in the first part of the night than there are later on. When a child is overtired, an early bedtime helps to take advantage of this. When we put a child to bed too late, the potential maximum cycles of Non-Rem sleep that they could be receiving, is cut off. Part of this is due to the fact that a child’s morning wake up time is biologically set. A young child that goes to bed at 7pm has a better night and more cycles of NREM than a child that goes to bed at 9pm. They will both likely still wake up at the same time in the morning. And if they don’t, for many children, if they do sleep in (past 7/7:30am), it can be a red flag that their body is extremely overtired and the quality of their sleep is already compromised. How many of you have been given the advice to skip your child’s nap because it will help them sleep better at night?Did you know that doing so will almost guarantee the opposite to happen? Ensuring your child is taking long, regular naps is a crucial component for a healthy, debt-free and sleeping though the night, routine. This is much easier said than done, I know. Helping a child to nap better can be a challenge because it takes much longer for a child’s brain to consolidate naps than it does for night time sleep. Whereas night sleep starts to get on track within a week of dedicated work and problem solving, naps take closer to 2-3 weeks. Get your FREE copy of HELP YOUR CHILD SLEEP THROUGH THE NIGHT, 5 TIPS EVERY PARENT NEEDS TO KNOW. The good news is that it absolutely can be done! By maintaining a regular napping routine that matches a child’s natural sleep rhythm, we can help a child get the maximum amount of sleep cycles they need for a healthy nap. The timing of when a nap happens is just as important as how long the child naps. This important fact is often overlooked when sleep problems are discussed. 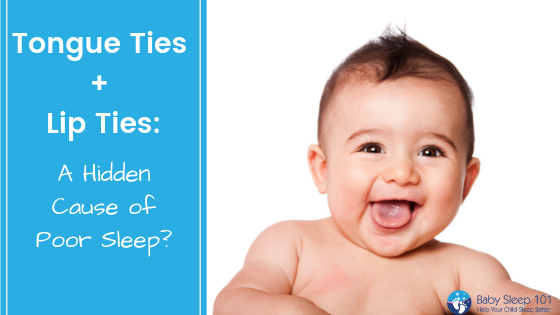 To begin with, consider how long your child can stay awake in between naps. It will slightly increase the older your child gets, but only slightly. For more tips on napping, see here and here. The second area that commonly causes sleep problems in children over four months of age are sleep associations. Around four months of age your baby’s circadian rhythms will begin to mature, allowing your baby to develop the ability to fall asleep on their own. However, sometimes as parents we don’t realize that this transition is taking place. Out of love, we continue to “help” until our child becomes so dependent on our methods, that it feels like they “need” it to get to sleep. When we begin to remove the extra help, this can produce tears of frustration in our little ones. If you’re a parent overwhelmed with sleep deprivation yourself, it can be difficult to recognize this. But keeping the context of the crying in mind can be helpful. If you’ve taken your child’s daytime routine into proper consideration, have fed and changed your child, then the crying that is happening is a result of being frustrated. Once you’ve determined which external factors are at play you can start to remove them. This is the act of sleep training. Sleep training is ONLY helpful in these situations. It does not fix a child that is waking and crying at night because of a poor daytime routine-that will continue to happen long after a sleep association has been weaned if the sleep debt is not first addressed. Now, I know that the term most people are familiar with is Crying-It-Out (CIO) (AKA Extinction), but that isn’t your only option. You can choose to wean sleep associations slowly or quickly, depending on your preferences. The key here is consistency: every day, every nap, every bedtime, and every night waking (minus the one or two that are for true nutritional purposes). For more information see my sleep training series here. 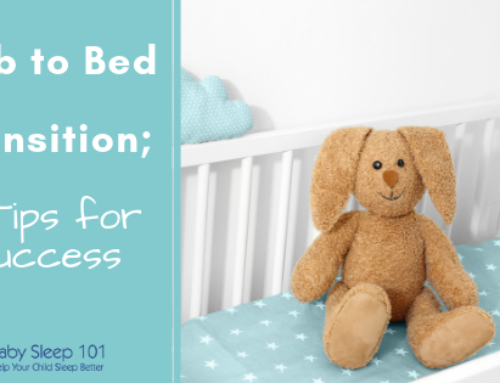 Ensuring that you remove bedtime “associations” not only helps establish a healthy bedtime pattern, but children who fall asleep without a sleep association experience better night sleep cycle transitions. This, combined with an age-appropriate daytime routine, in turns leads to children sleeping through the night. 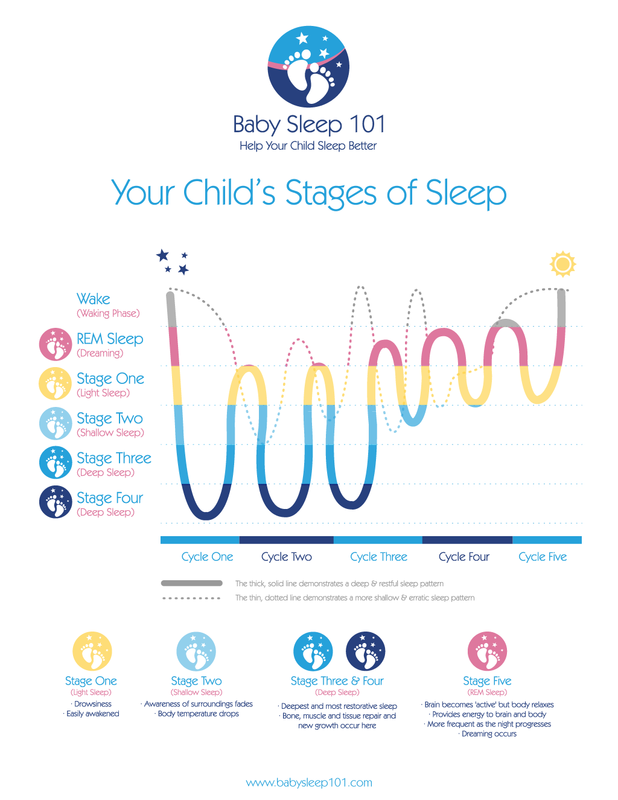 Compare the dotted line with the solid line in the image below and you will see how a child that can move through sleep cycles easily has a deeper and more restorative sleep. 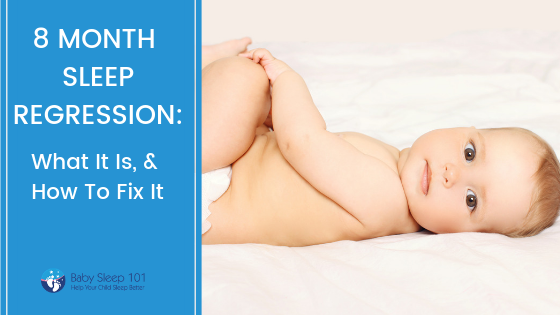 Removing all the sleep associations in the world won’t help if you don’t address an underlying sleep deficit and keep your child on a healthy sleep routine. It’s also important to introduce these changes during times when you are distraction-free and can focus on the task at hand, so avoid attempting to implement any changes during vacations, travel, when you are hosting visitors or doing home renovations. If you find yourself slipping back into old habits then break the changes up into small, manageable steps. 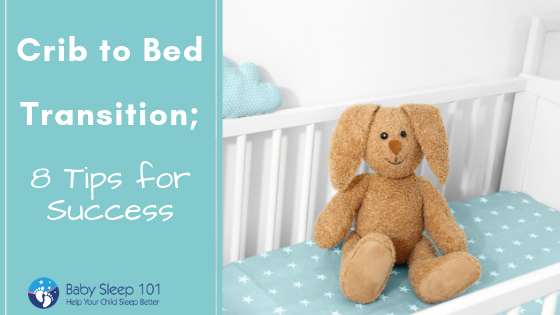 The easiest first step is to make sure that your child is napping at appropriate intervals, and that bedtime is consistent and meets their needs. This is the foundation for any sleep training that you may want to implement later on. If you have a child that isn’t sleeping through the night, you may be too tired to make any changes yourself. Are you feeling overwhelmed and want someone to make a plan for you and guide you through the process? 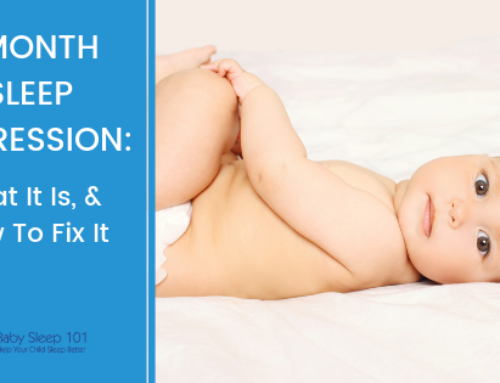 Book your consultation today and save yourself time and frustration or join me during one of my free Q and A sessions every Wednesday night from 8-9pm CST on the Baby Sleep 101 Facebook page.